PHUKET: A former monk who is suspected of murdering a 17-year old monk assistant at a temple in Thalang on August 5 is continuing to deny the murder charge brought against him by Phuket Police. 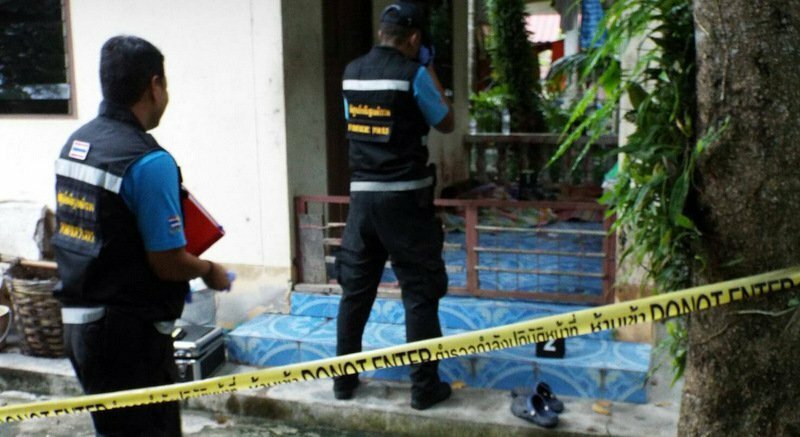 Mr Khittisak Songkram, 38, was defrocked, held on drugs charges and charged for the murder of 17-year-old Wei Pew Ar at a Phuket temple shortly after the murder on Aug 5. (See story here). Mr Khittisak was charged after his fingerprints matched the fingerprints on the knife found at the scene, and blood found on his monk’s robes also matched that of the victim. In addition, Capt Natthi refused to comment on whether witnesses had provided any possible motives for the killing. “The case is not yet closed. There is still much more evidence to collect. So far we have just gathered some witness accounts and forensic evidence,” he added. Meanwhile, Capt Natthi confirmed that a full Buddhist funeral ceremony has been held for the slain Wei. “Mr Wei Pew Ar’s relatives also live in Phuket, so they have already held a religious ceremony for him and funeral rites for the body,” said Capt Natthi.